We had relatives over from Quebec and therefore ended up producing more garbage than usual. 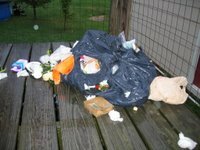 During one of the garbage bag changes, a bag was left on the kitchen deck overnight and the freaking animals got to it. 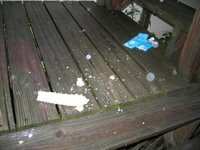 They ripped the bag and made a mess of the place. 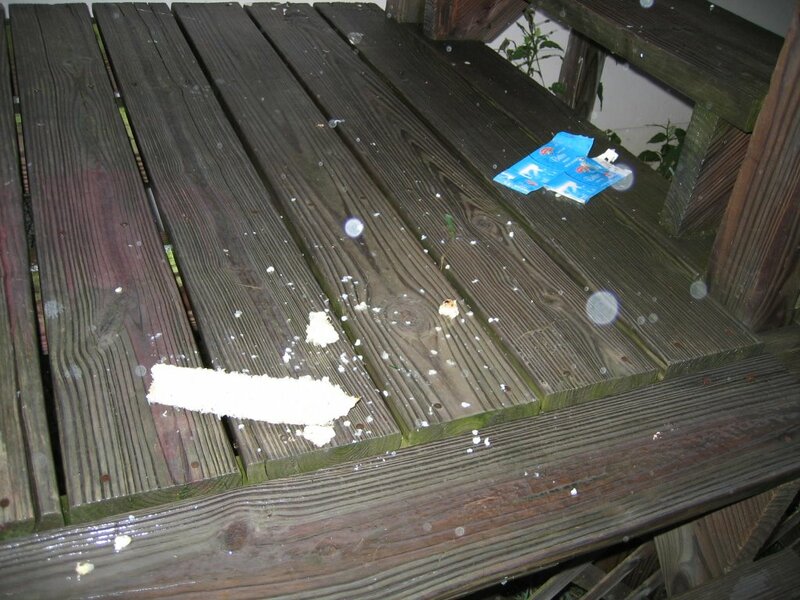 On top of that, it rained and the mess was soggy and wet. Arghhhh........! !